Whoopee! Expect wild celebrations next year when The Gorse Millennium Green celebrates its 20th anniversary as a community asset! 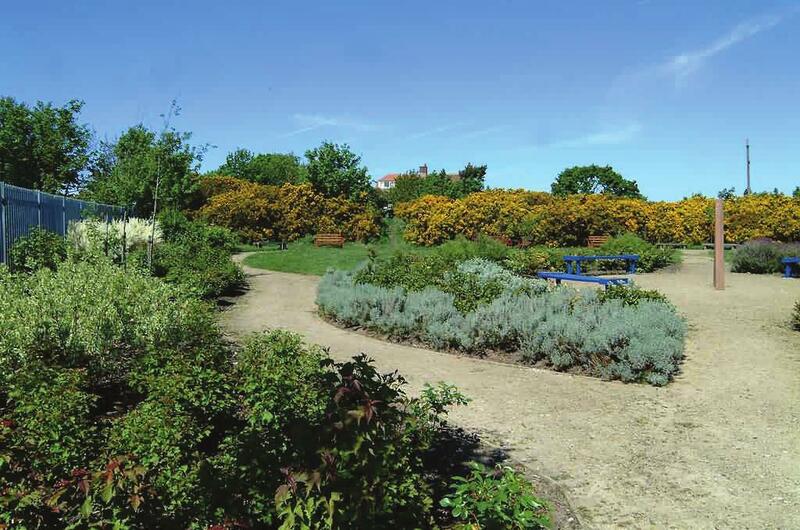 And with independent professional visitors to The Gorse earlier this year positively raving about it – “one of the hidden gems of New Brighton and a potential gold-mine, if properly developed” – all should be rosy in the garden? But is it? As a public asset, The Gorse needs public funds to survive. When it was first purchased, local “Friends of The Gorse” would promise a small annual subscription towards its maintenance but in these hard times families have other priorities. The Gorse seems to have been largely forgotten and these subscriptions have almost dried up – so although The Gorse is eternally grateful to those few who still make contributions, these have not kept pace with the cost of maintenance. This means that the purely voluntary trustees who run The Gorse Charity now find themselves increasingly providing the labour and the finance just to keep the project alive. Also, a distinction has to be made between the costs of simple maintenance and development development is far more expensive. For this The Gorse has always had to rely upon benevolent grants. Such a grant was successfully secured in 2014 and led to substantial site improvements. However, the public euphoria of the post-improvement opening day in early 2015 has now been replaced by despondency amongst the trustees – for no further grants have been received. All this means that it’s becoming increasingly hard to maintain The Gorse, let alone develop it. The Charity is currently battling with various issues which include the access gate (off its hinges), paths (which need constant de-weeding), dog fouling, concerns over boundary walls and the need to eradicate invasive plant species and sycamores – all at great cost. Thanks must go to our main volunteers, Keith Billingham and Fred Fairclough, who have put in place new peripheral planters and an “insect hotel,” but despite even their best efforts The Gorse is slowly slipping into disrepair. The Gorse has also had to cope with the serious illness of its Charity Chairperson, Rusty Keane, to whom we all wish a speedy and complete recovery. Her illness causes us to reflect that most of the existing Trustees are now well beyond retirement age. New blood, new ideas and new trustees may be required! The great hopes of further major improvements to The Gorse of 2015 have stalled. Maintenance funds are urgently required whilst the trustees busy themselves making further bids for grants. It’s your Gorse! It requires around £750 annually to maintain it if it is to survive. It will require around £10000 if it is to be further developed. It would be nice to think that The Gorse will still be there as a public asset when its 20th anniversary is due and that there will be finance available for the celebrations. Could you help? Do you have any ideas for an anniversary party or for what you would like The Gorse to become? If you’re interested there will be a public meeting about this soon. Please bring your ideas to that! So watch this space for more Gorse news next month!